This is a multi-purpose pan ideal for baking, simmering, steaming, and frying! It's simple and stylishly designed so that you can use it as a serving plate straight from the stove! The body is made from 5-layer stainless steel and the lid is made from a heat-resistant tempered glass. 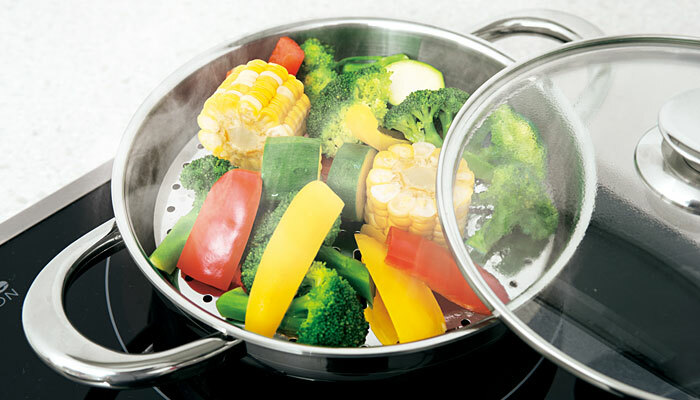 Cook your food without oil and steam your food instead. The water trapped inside will keep your food moist and flavourful. 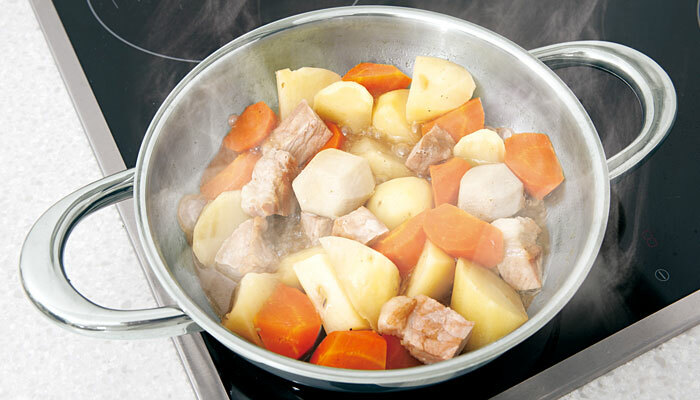 Simmering will keep the flavours infused in your food because the original taste is kept in the pot as its cooking. Put all your ingredients in a small amount of water in a pot and cover it. Let it cook on low to medium heat and you will get a health, simple steamed dish. 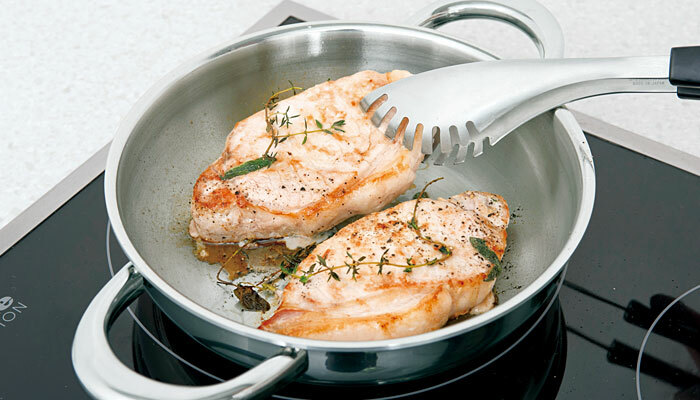 A simple, round, easy-to-use pan that can be served directly to the table. The body and handle are all made from stainless steel. The glossy finish on the surface was finished by hand carefully carefully by the craftsmen. It can be cooked with the moisture from the steam so that nutrients are taste are preserved. The heat-resistant tempered glass cover so you can see the food while you cook. The thermal efficiency is further improved by using a multi-layered heat conduction + lid. The residual heat formed from the stainless teal can also help with cooking the food so the heating time is further shortened. This will help to save energy too! Gas, Induction Heater, and other heat sources friendly.